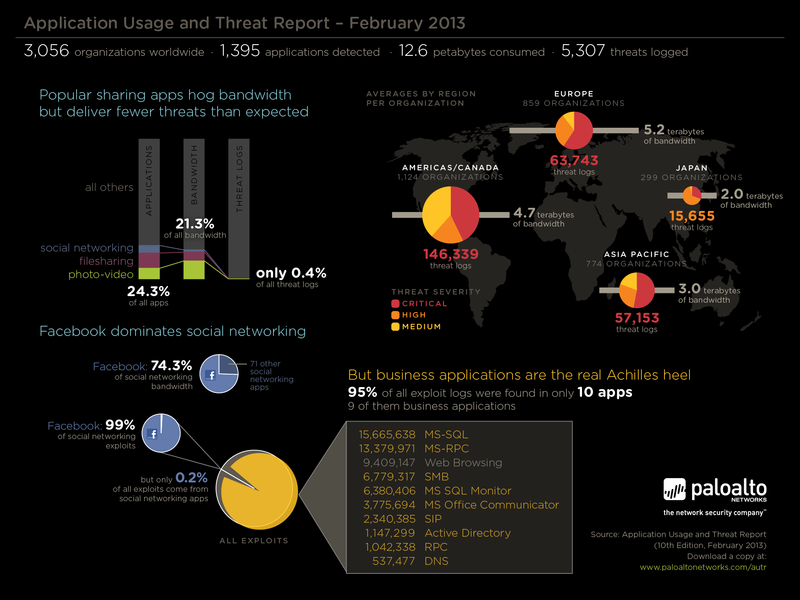 Palo Alto Networks launched the data visualization that we created yesterday with the release of their Application Usage & Threat Report. 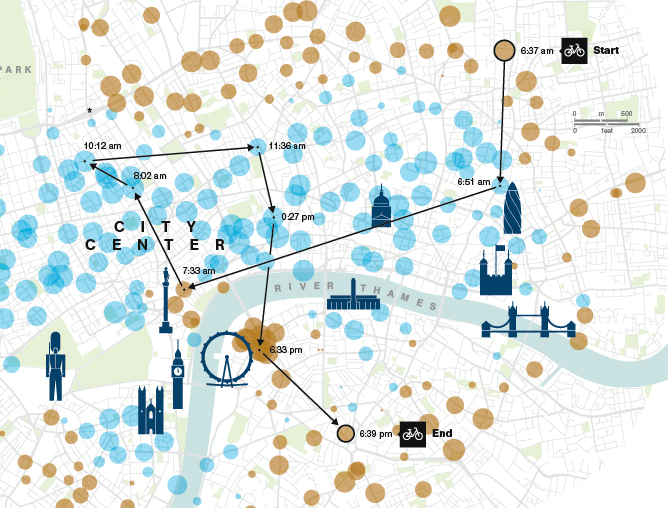 It’s a depiction of network traffic collected from 3,000+ organizations. 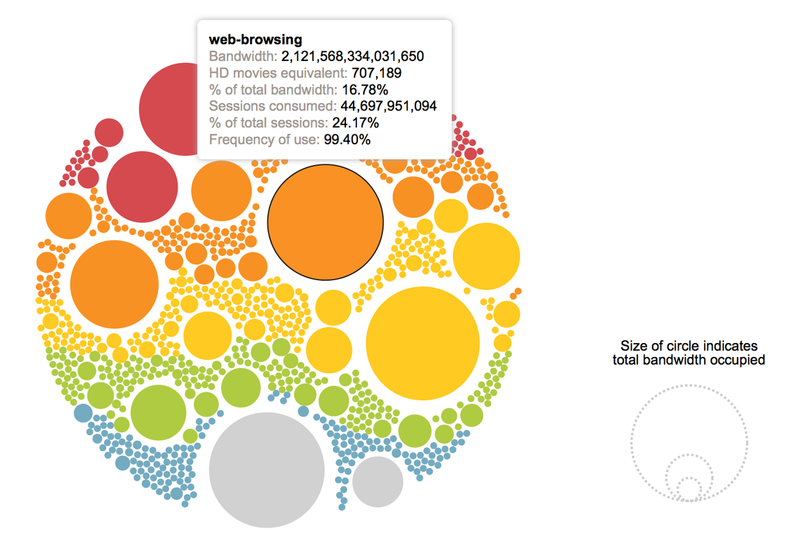 The visualization gives you a sense of the applications that eat up the most bandwidth and represent the greatest risk. 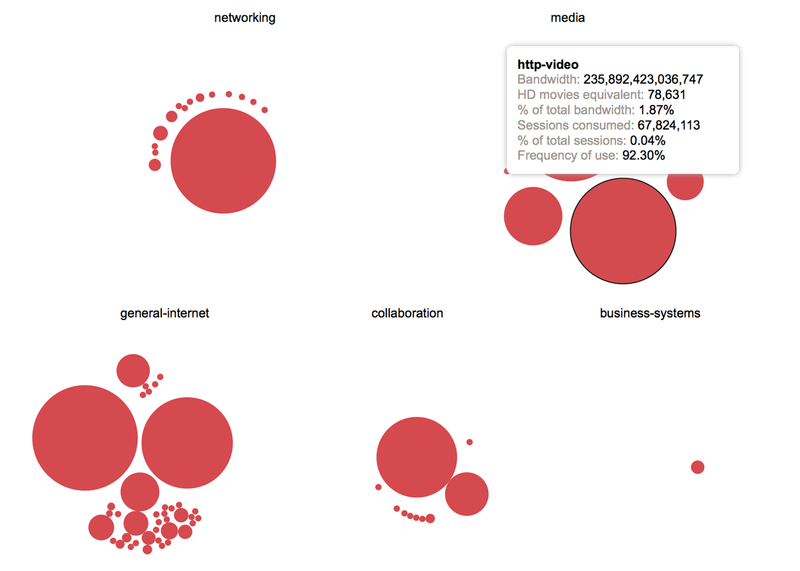 There are many ways to slice and filter the data, facilitated by the capabilities of the d3.js library. Many thanks to Jérôme Cukier for his coding expertise to bring the concept to life. 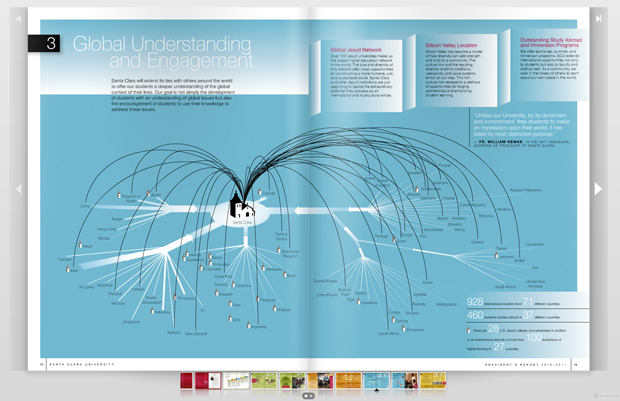 Another piece of the project was to create this related infographic. I very much enjoyed delving into the world of moving spheres. What is it about us that is drawn toward playing with bubbles? Looking forward to more projects like this. I keep meaning to post about some recent data visualization work from Threestory Studio that formed an integral part of Santa Clara University’s President’s Report. The design firm Cuttriss & Hambleton did a great job with the overall design of the report while we focused on the infographic components. The spread featured here highlights SCU’s global reach, showing the inflow of international students who study at the university and the outward reach of students who leave to study abroad during their time at SCU. A third layer of global connectivity shows the affiliated Jesuit institutions scattered across the world. It all serves to give you the sense that this is a place that is anything but provincial. You can see the whole report in a handy PDF viewer (here’s a screenshot). Clicking on this image will show you a large scale version of the illustration itself. We just returned from a family trip to Europe. I first visited London in 1999. I was impressed then, and again on this visit, by the well integrated, and cohesively branded, transportation system. This was the first time I had seen the shared bicycle system in action. We wanted to try it out, but the bikes were too big for our 7 year old, so we contented ourselves with the double-decker buses, the overground, the river boats, and the tube instead. I found myself wondering about the flow of the bicycles around town, wishing I could get my hands on the data to see what that looked like. Do they get stacked up in one location and require redistribution? Imagine my delight when I stumbled across this nice graphic created by Álvaro Valiño for National Geographic this morning. 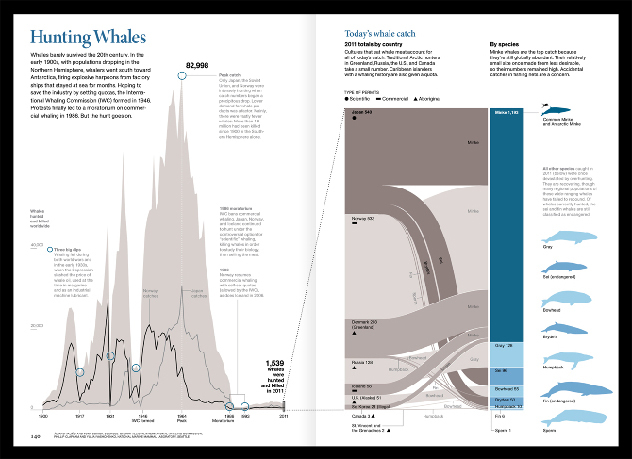 And for an encore, I discovered that Sr. Valiño also created the graphic that accompanied the article on whaling that I read just this morning (also in National Geographic). Nice work Álvaro.